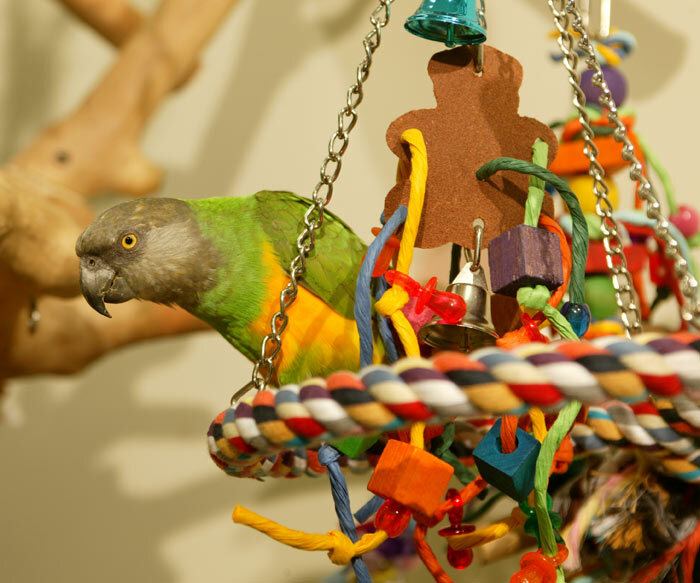 Saturday I went to NJ and bought not only a new cage but all the perches, toys, and supplies for the new Cape Parrot (pretty much everything short of food). Originally I was planning on buying the largest powder coated cage with 3/4" bar spacing. 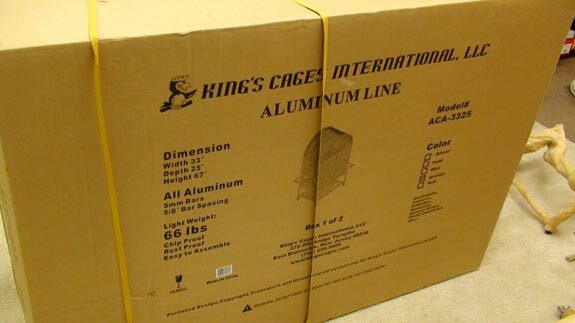 However, someone recommended to me to try Kings Cages (which I had never heard of) so I looked into it and found a similar powder coat cage from them for cheaper. But as I spoke to them on the phone, they recommended that I should go with an aluminum cage instead. 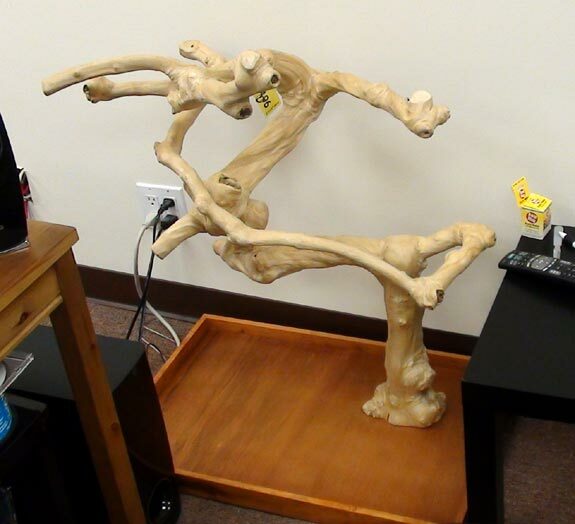 Originally, I was expecting to spend $600 for a cage and $400 for a tree. So instead I decided to go with the aluminum cage after all but get a smaller/cheaper tree. 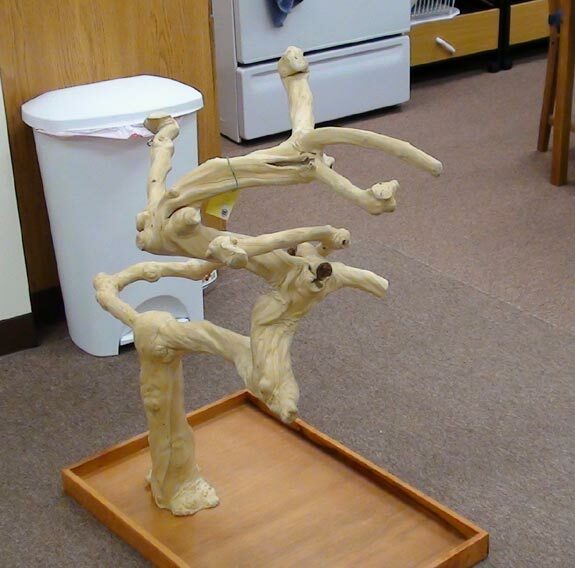 It will be much easier to upgrade to a bigger tree than a different cage in the future. 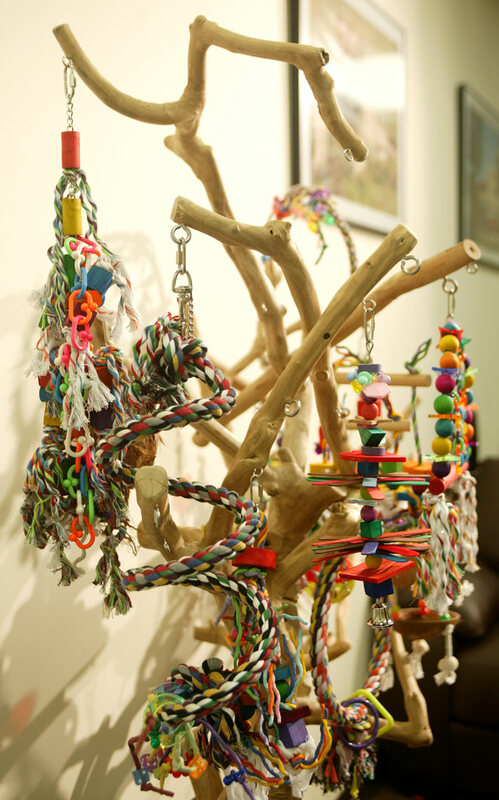 I went to their warehouse to see the cages/trees in person because I had not seen their products in stores before and I had questions about doors and other issues. Maria from Purringparrot warned me that her Cape chewed up the plastic food bowls that came with the cage so I wanted to make sure I could get stainless steel bowls instead. Also I was a bit concerned that the aluminum playtop cage was a bit smaller than the powder coated ones I was previously considering. Unfortunately the cage still comes with the pointless cheap plastic cups but the good news is that for about $50 more, you can get a replacement kit to mount rings in place of the plastic cups to hold stainless steel food bowls. For the kind of price of the cage I think the stainless cups should come standard but at least the upgrade is possible and well worth the money. I was also concerned with the locking mechanisms on the doors because I had problems keeping my Senegal Parrot from getting out of her cage. 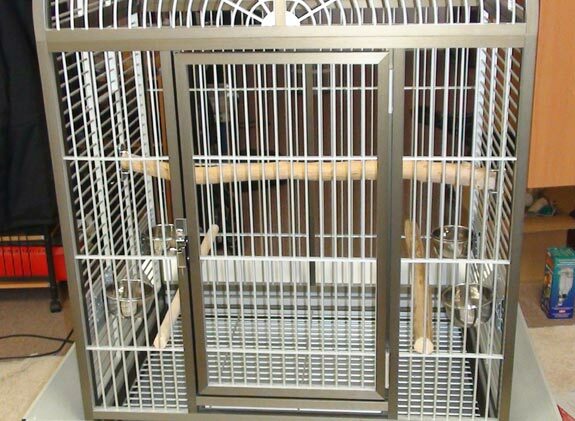 Luckily the Kings Cages come with a very ingenuitive lock for the front door which requires several motions that would be impossible for the parrot to be able to complete from inside. 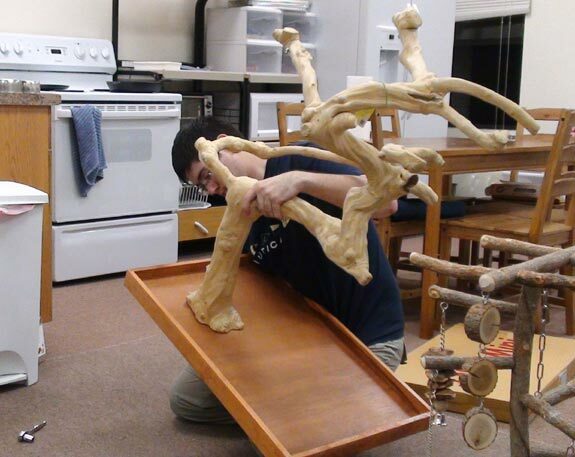 It needs to be pressed down, twisted, then down again, and twisted a second time completing a 180 degree turn. Also there is a magnet on the front door to keep it closed even if the pin is unlocked. The food doors are also well locked with a pin that is completely inaccessible from inside because of a plate that blocks the parrot from reaching the control. I requested a Java dowel in place of the machined wooden dowels that come with the cage so we worked out a deal to get some custom cut for the cage. 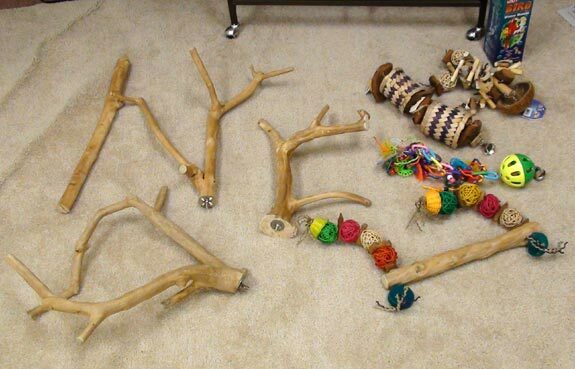 While I was at it, I picked out some toys and additional perches for the cage. Before I was ready to pay, I was asked if I really need the playtop for the cage because there was also a dometop available. I had not even considered the dome top (and I usually thought the dome was cutting off space that a square top could have been). He explained to me that it would actually provide more room. And since I don't leave my parrot to play on top of the cage anyway, I did not worry about missing the playtop anyway. This worked out perfectly because the dome added some space to compensate my fear of the cage turning out smaller than others I had considered. The prices were good and I ended up buying everything I need for the new Cape within my originally planned budget. So now I can just sit back and wait for the bird knowing I will be ready for it whenever it is ready to come home to me. 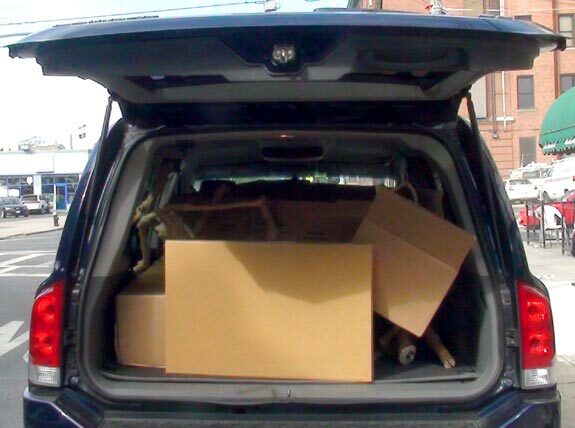 The cage came in two boxes and I had many accessories so it filled practically the entire car. 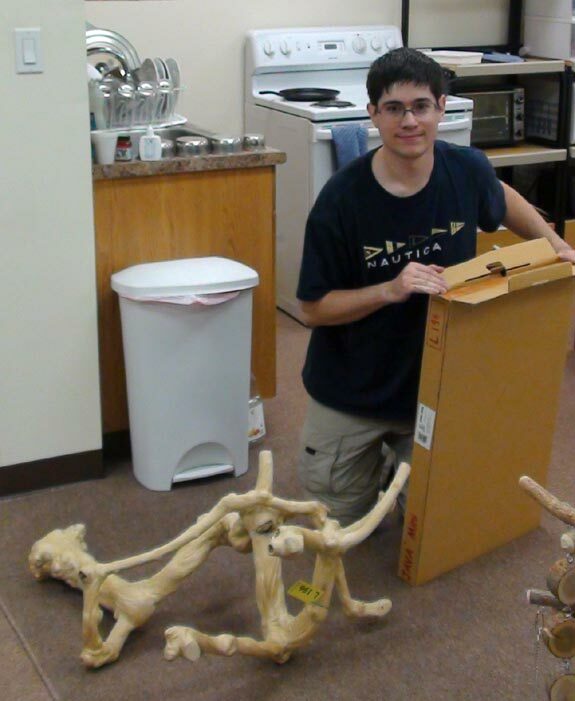 That's my brother helping me unpack the cage parts. Assembly was actually incredibly easy. Then I got the tree together. All it involves is securing one bolt so it's really easy. So here's the new dometop aluminum cage for my upcoming Brown Necked "Cape" Parrot. For 2 out of 3 perches I replaced machine doweled with natural Java but I left one dowel in and saved the 3rd Java for later. Here is the stainless steel cup and holder to replace the junky plastic cup. 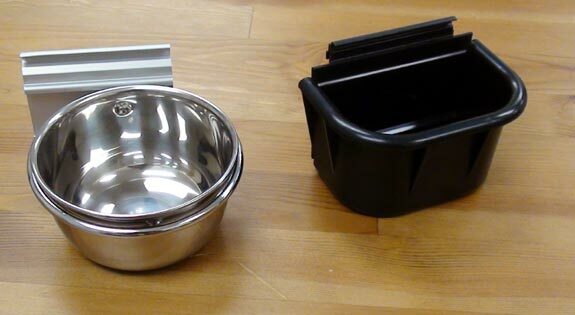 Here are the replaced food bowl rings with stainless steel cups. 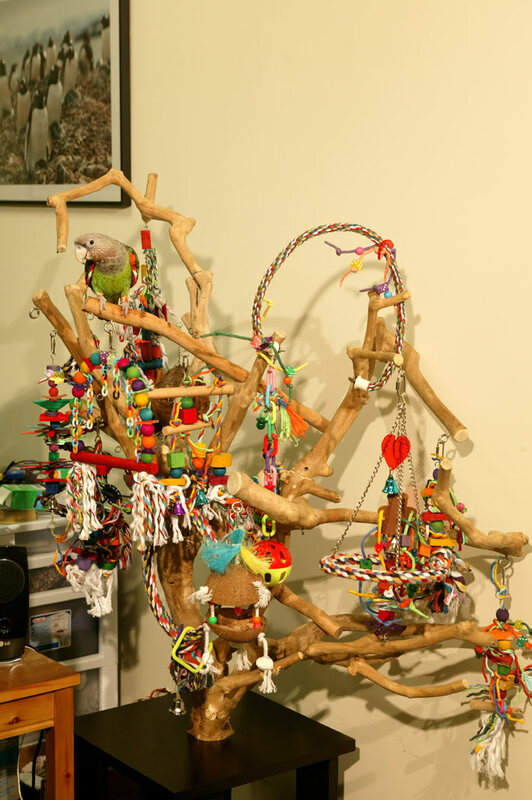 All of the additional perches and toys. I haven't decided on a place for the tree yet but for now I'm keeping it out of the way so Kili can get used to seeing it but not go on it. 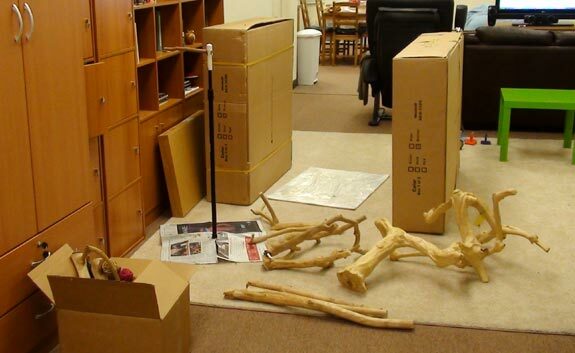 For the next few months, I'm going to be keeping Kili's cage closer to me in the living area so that when the Cape arrives, I could have a reasonable quarantine and so Kili doesn't try to go on the Cape's cage. For now I'm hiding the cage in a corner near Kili's area but not on her spot. I don't want her flying back to where her cage used to be out of habit and land on the Cape cage instead. So I will keep the Cape slightly to the side of where Kili used to be. It's really important that Kili doesn't try to claim the new cage or tree so I want her to get used to not going on them. I left all the toys and things out of the new Cape cage to further reduce any temptation for Kili to check it all out. Overall I'm quite happy with the new set up and now just anxiously await the arrival of my new addition. Yeah, they don't do a good job of making you feel like you bought something worth the money with the cheap included things. The cage should have been $50 more but come with all of the "deluxe" features standard so you wouldn't feel like getting a cheap quality expensive cage. 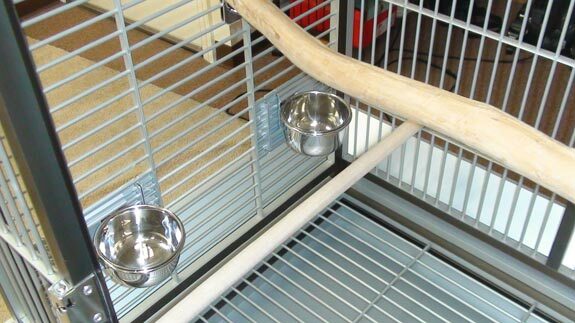 The good news is you can discard (or use as spares) the wooden dowels and plastic food cups and it is really easy to replace these things with natural perches and stainless cups. Many cages you are locked in using whatever they come with and cannot swap, so basically just imagine the cage as $100 more expensive but including what you would expect with it. 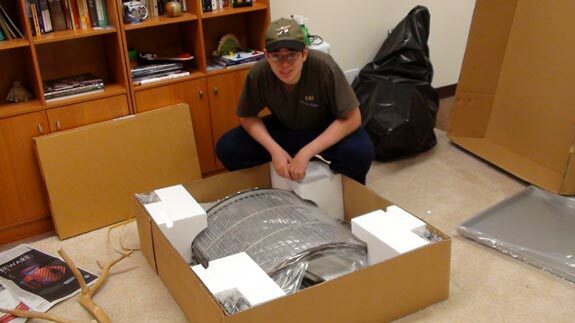 I calculated that the cage is 26,000 cubic inches and the dome top adds another 10,000 cubic inches. That's pretty incredible considering Kili's entire cage is just 10,000 cubic inches. That brings the cage up to 37,000 cubic inches which sounds much more fair to me on a proportional comparison between the 2 species. 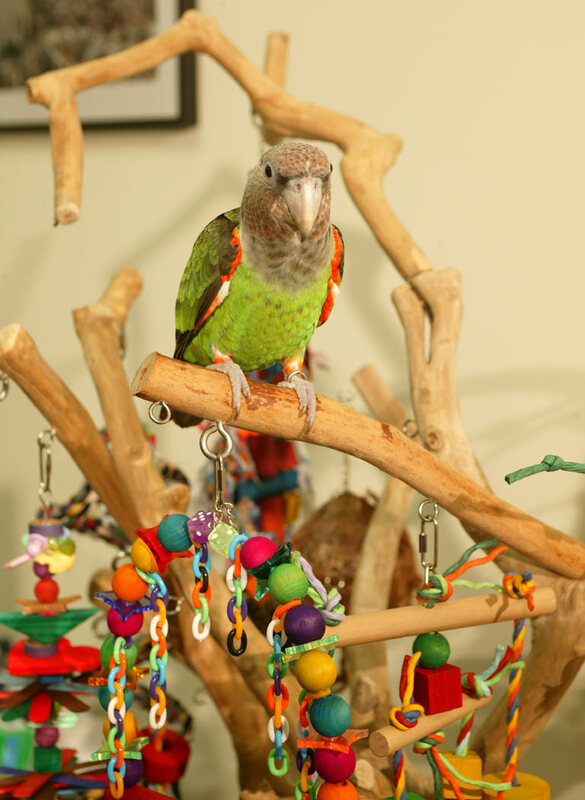 Senegal Parrot: approx 115g, Cape: 400g. That makes the Cape about 3.5x bigger than Senegal and the cage comes out to 3.7x bigger so it's perfect. I was really skeptical about getting the original version (pre-dometop idea) because 26,000 would mean the cape would be more crammed in the new cage than Kili is in hers and I didn't want that. I don't want the large toys and perches to make the bird too crammed but now with the extra dome, it works out just right. I didn't want the playpen much anyway. And to my surprise the dometop cage is actually a bit cheaper than the playtop one even thought the dome looks like more material and labor to make. It comes with four feeder doors/cups which I think is overkill but I guess nicer for symmetry. I think I would have still produced just 2 feeders but larger cups than 4 small ones as it is. I usually mix everything in a single bowl for the parrot rather than separating things by bowls. Also I use a water bottle so 2 bowls is definitely enough for me. I suppose for parrots that drink from a dish, 3 bowls is better so they went with 4. I don't have to leave all the bowls in so the extra doors and capability don't really hurt. 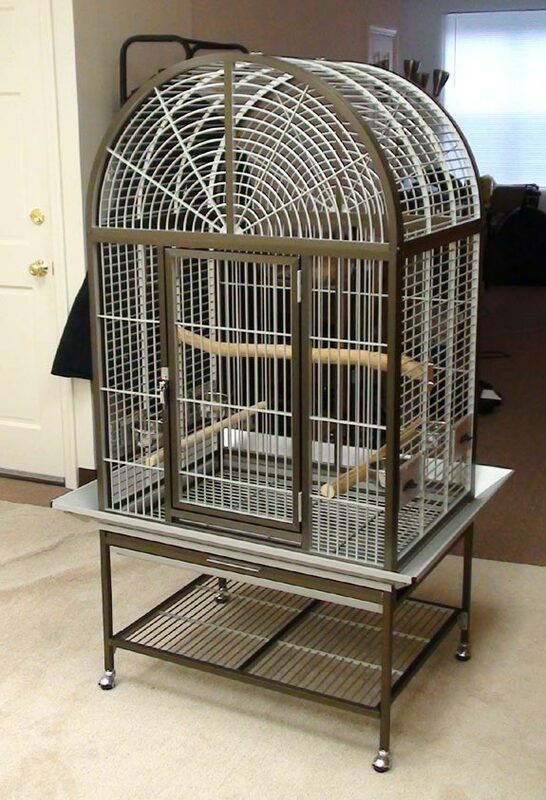 As I do not have the bird yet, I cannot give you the bird's review but I can tell you what I think of the cage compared to the powder coat cage I have for Kili. There are many things I like but some that I dislike by comparison. I think the steel cage feels sturdier but the aluminum one is lighter and somewhat more manageable (relative to sizes). 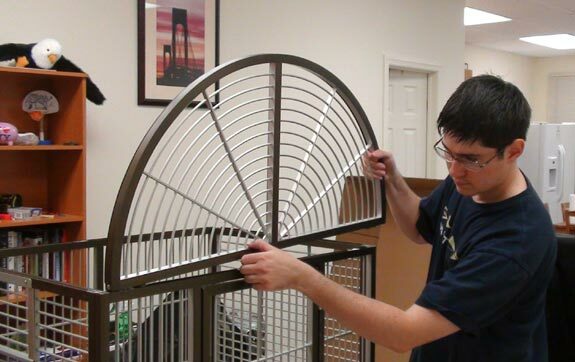 The aluminum cage is very easy to assemble, it just snaps in place. 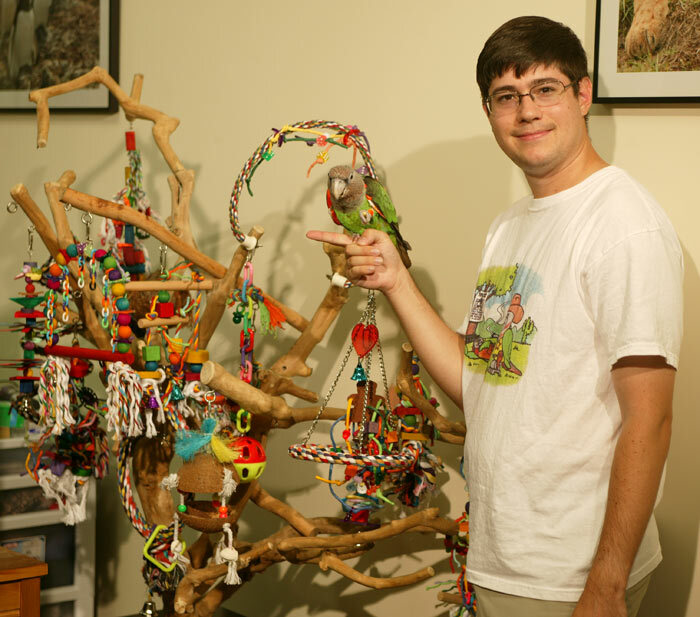 I don't think the parrot can disassemble it though because gravity, friction, and shear strength hold everything together. I think there is a high premium for the aluminum material so unfortunately the cage suffers from some poorer quality/workmanship that may go into the powder coat ones. Like I mentioned the food cups and perches for a start. Also it just doesn't appear as neatly built. 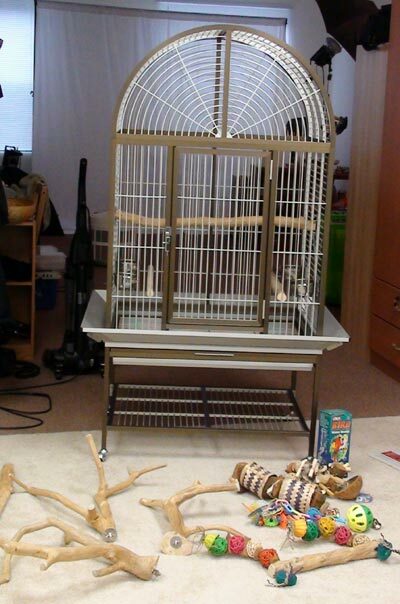 I'm sure once the bird gets to either kind of cage that's all over. But it just doesn't look the quality of the price you pay for it. I think in the long term it still comes out worth it and it will last longer but it just doesn't look finely produced. For the kind of money they charge, I think they should have upped it a little bit more but made a deluxe quality cage out of the concept rather than a very expensive economy kind of cage. You can see the poor workmanship in how certain pieces don't come perfectly together without a gap or you can see in the picture that the food bowls are crooked and not level. The feeder doors are much lower on this cage than Kili's but the jury is still out whether I like that or not. Actually I think that will probably end up a good thing because Kili rarely uses the bottom of her cage. This way the parrot can use bottom for feeding and top the way it normally would anyway. The down size to low food bowls is that there is a better chance it will poop or drop things into them. Also the food bowls (plastic and metal replacement ones) are smaller than the ones on Kili's cage but the bird is bigger. There was one thing broken on the cage when I got it but I didn't bother exchanging cause it was an easy fix for me. On the bottom shelf, one of the screws wasn't holding because the hole for the bolt was stripped too wide and the bolt wouldn't tighten. I have my own workshop so I easily found a screw just slightly thicker that I used to secure into the stripped hole but I can imagine this being a big problem for most other people. Basically the biggest failure of the manufacturer in this case I would say is that they are selling an expensive cage but at economy quality and configuration. I don't think people would notice $50/$100 more as a major increase but would appreciate an all inclusive well built cage for the money. It is hard to match the price of the quality to the perceived value because of the expensiveness of the aluminum. 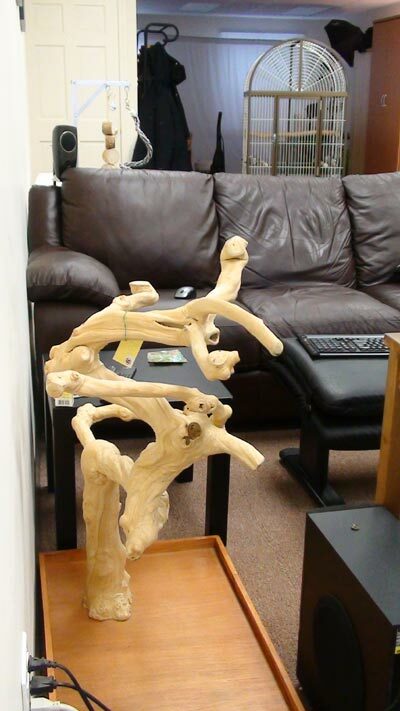 It is still a good cage and I recommended but still to this day I have not come across the "perfect parrot cage" that has every feature you'd want, well made, and still reasonably priced. Here's a list of things I noticed about it already.